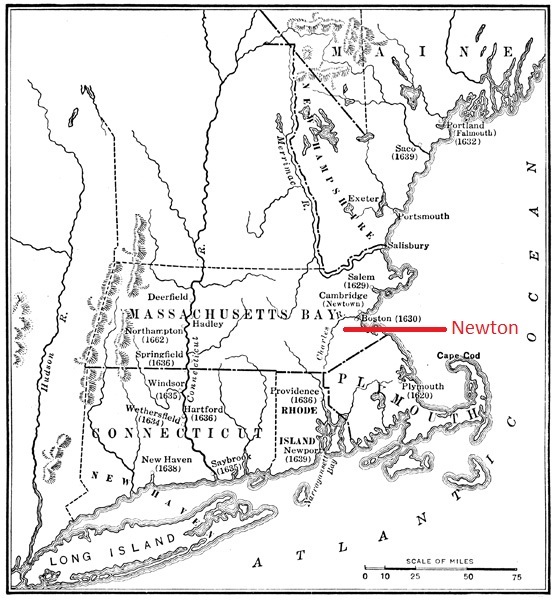 1854 book, History of the Early Settlement of Newton, County of Middlesex, Massachusetts: From 1639 to 1800. 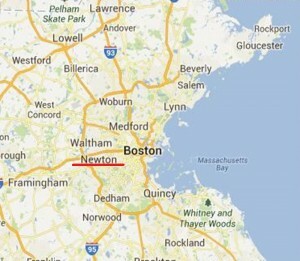 1631, “Newtown” was the original name given to what is “Cambridge” today. 1632, (Nov.), Newtown (Cambridge), town records commenced. 1634, The court granted large tracks of land to be established on the north and south side of the river. This tract was first called, “The south side of Charles River” and sometimes “Nonantum”, (the Indian name,). 1635, Newtown (Cambridge) proprietors’ records (land records) commenced. 1638, Harvard College was established and the General Court ordered that Newtown should henceforward be called Cambridge. 1654, Religious meetings were regularly held on the south side of the river, (1654-1679); the area at the time was called “Cambridge Village” (which is the city of Newton today). ministry in Cambridge, for all lands and estates which were more than four miles from Cambridge Meeting-house. 1662, The inhabitants of the Village were not satisfied and petitioned for a firm dividing line, which was granted and that boundary line exists today. 1679, (27, Aug.), Cambridge Village was set off from Cambridge, and organized as an independent town, “by virtue of an order of the General Court.” After which it was more often called “New Cambridge,” (until 1691). 1691, (8 Dec.), the General Court passed the following order. “In answer to the petition of the inhabitants of Cambridge Village, sometime called New Cambridge, lying on the south side of Charles river, being granted to be a township, praying that a name may be given unto the said town, — It is ordered, that it be henceforth called “New Town”. 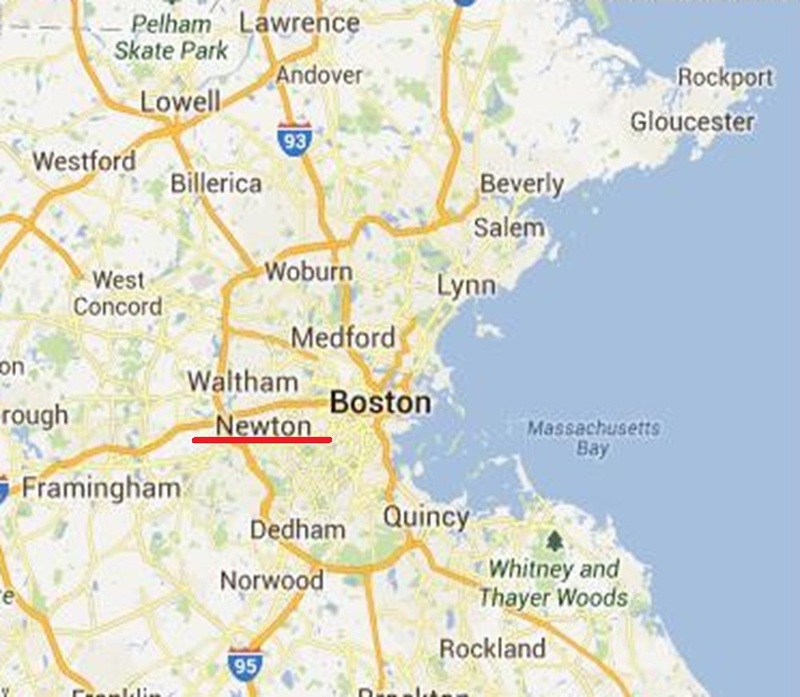 1766, All the town clerks of Newtown, followed the Court’s order in the spelling of the town’s name, until 1766, when Judge Fuller was town clerk; he spelled the name as “Newton” on all town records. There was no vote – usage in the town and by the public had been seventy-five years preparing the way for him to assume the responsibility of making the contraction, by omitting the ” w ” from the last syllable.